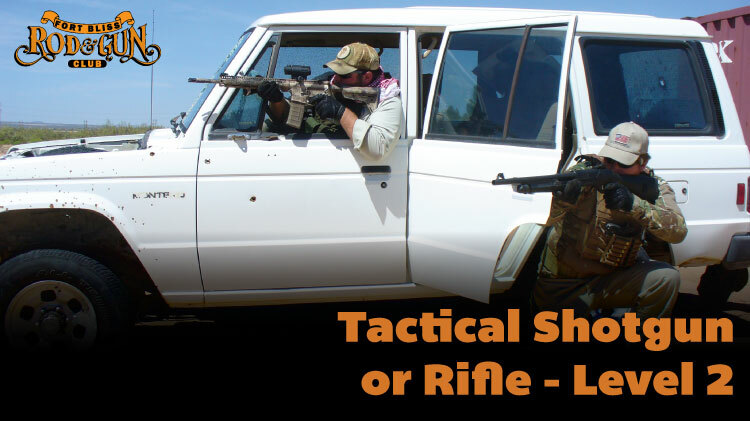 Date: Mar 23 2019, 8 a.m. - 5 p.m.
Level 1 or Tactical Rifle Level 1 or pre-course evaluation. Open to DOD ID cardholders, and the public. For more information, please call 915-861-4789. $125 per person, and a $25 non-refundable desposit. You can register online or by calling 915-861-4789.